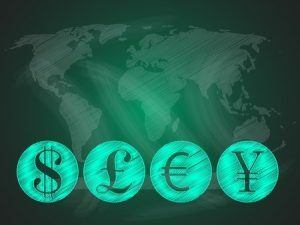 Markos Solomou, Risk Manager at www.easy-forex.com, explains how easy it is to trade forex online. The fx or currency trading market is the largest financial market in the world with an estimated $4 trillion traded daily, dwarfing the daily volume of any global stock market. In the past, forex markets were available only to large corporations, governments, central banks and hedge funds but the spread of the internet in the mid 1990s made it possible to trade currencies electronically, anywhere in the world, 24 hours a day, with no physical exchange needed. The easily accessible internet spawned the birth of online trading which now offers even the smallest trader access to the financial market place. The first step in trading forex is to learn as much as you can and familiarise yourself with basic trading concepts. This is easy because there is a wealth of free information about the forex market on the internet that can be accessed with a simple web search. An easier and more convenient way to learn about the forex market is to go to the website of a reputable forex broker. Many well-regarded brokers like easy-forex provide an array of free online trading tools. easy-forex offers educational videos, as well as one-on-one training sessions, webinars and seminars and an eBook guide to trading. Tools to help you trade can be found on the www.easy-forex.com website – including technical analysis, market commentary, a financial calendar, Reuters news and more. The next step is to choose a professional broker and an easy-to-use trading platform. The easy-forex web trading platform allows you to trade from anywhere in the world with just a click of the mouse. This is a major benefit because the fx market trades 24 hours a day; from 7am Monday Sydney time until 5pm Friday New York time. The easy-forex trading platforms are highly regarded and you can choose to trade online via our web platform, download our desktop platform, TradeDesk™, onto your computer or access the platforms on your smartphone or tablet. You also get support from an account service manager via phone, email and Live Chat, who can inform you about the markets. Once you’ve chosen a forex broker, the next step is to start the registration process, which at easy-forex is simple. Just register online for our trading platform and complete the process by depositing your first funds into your personal trading account. You can make a deposit with your credit card, or via a bank transfer or e-wallet. For the true beginner, easy-forex offers a free demo account which requires no deposit of funds. The demo account will help you learn and get the feel for what it’s like to trade forex under live market conditions before you invest real money. At easy-forex we also offer a monthly demo challenge whereby we award generous trading credit to the top three traders practicing with an easy-forex demo account. You can find out more about the demo challenge and other great offers by joining our popular Facebook page. So it really is easy to start trading forex online. Follow the above steps and join the exciting world of forex. Keeping track of the financial market is easy with this free tool by Easy-Forex. The toolbar offers real-time business and financial news, live currency rates and a currency converter financial calendar, daily/weekly outlook and makes it possible to start trading with easy access. Easy-Forex is operating in 7 cities in the world and have offices in Chicago, New York, London, Warsaw, Limassol, Sydney and Melbourne. They are licensed by the CySEC, Cyprus Securities and Exchange Commissions and in Australia by the Australian Securities and Investments Commissions – ASIC. Signing up with Easy-Forex means that you will have access to their Forex Trading Videos. The more you know about forex trading the better prepared you will be to formulate trading strategies and make informed decisions. Four modules of 10 videos are created to tech you from the basics to more advanced features of forex trading. One of the best things to do for yourself when you decide to trade the forex market is to learn as much as you van about this exciting and dynamic market. When you join Easy-Forex you will get access to all their video modules, the eBook guide to trade forex, your own demo account to practise with and a dedicated account service manager to answer all your questions. Seminars – Meet Easy-Forex in person and interact with traders like yourself looking to learn more about the forex market. Current topics, interactive learning, learn from your peers. To sign up with Easy-Forex, please click the banner below. If you are still in doubt about trading forex, kindly read our extended broker review. Please note that Forex trading (OTC Trading) involves substantial risk of loss, and may not be suitable for everyone. Do not invest money you cannot afford to lose. The information provided is for informative purposes only, and can under no circumstances be considered as a recommendation to engage in any trade.